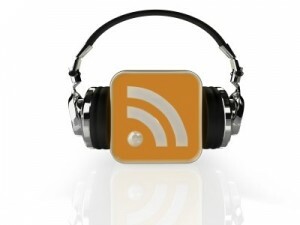 A podcast provides another channel, your voice, to extend your message and your reach. Through podcasts, you can increase exposure to your small business and build your personal profile and business brand. They are increasingly an essential element in small business marketing. The term “Podcast” originated in 2004 by combining two ideas, “iPod” (audio/video player) and “broadcast” (wide transmission of information). The original concept was that you would create a series of audios/videos (episodes) and broadcast them via the iPod. Now the term podcast has come to mean, in common language, an audio file (usually MP3) that is made available via the web, iTunes, the iPod or any MP3 player. It can be a single audio or series (such as a training course or a regular radio broadcast such as Blog Talk Radio). generates great search engine rankings. Use a powerful free marketing tool that’s at your disposal twenty-four hours a day – Your Voice! …Having the opportunity to hear your voice makes a REMARKABLE difference in the minds and hearts of your target audience! Podcasts are popular because they are easy to create and easy to listen to (online or offline via mp3 players). All you need is some free software and a headset with an inbuilt microphone (usually under $30). Well, if the discussion so far is not enough to motivate you to have a go or do more podcasting than you are currently doing, just keep in mind that there are currently 5 Million searches per month for ‘podcast’ on Google (as well as 3.3 Million for “podcasting”). The recent focus of Google has been very much “universal search” – Google likes to have multi-media results on page 1 for any search term (blog, video, podcast, image, Squidoo lens). So podcasts can improve the ranking of your website or blog. In the final analysis. a podcast will bring extra traffic to your blog and increase your conversions.